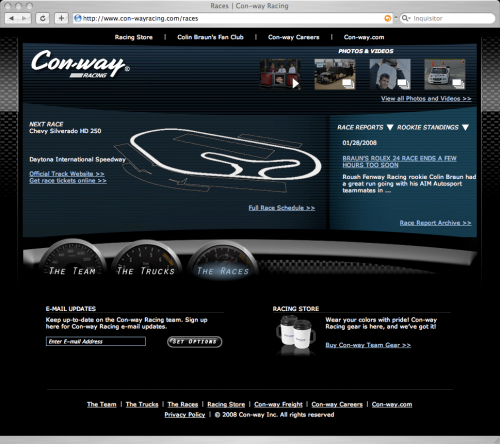 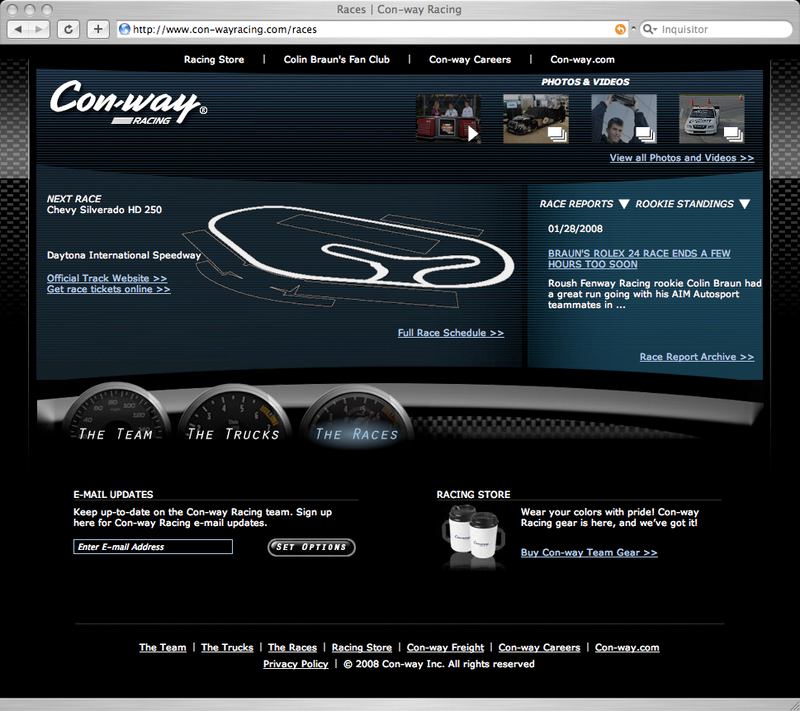 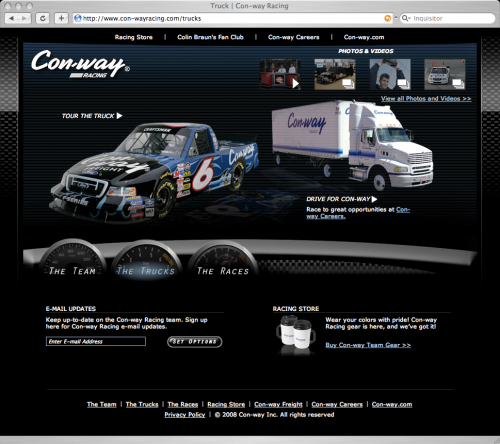 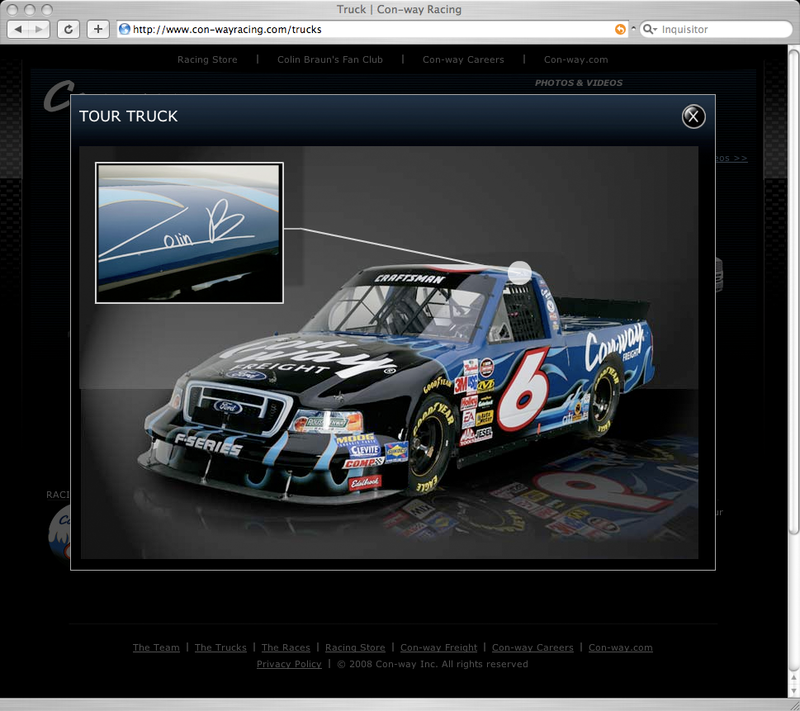 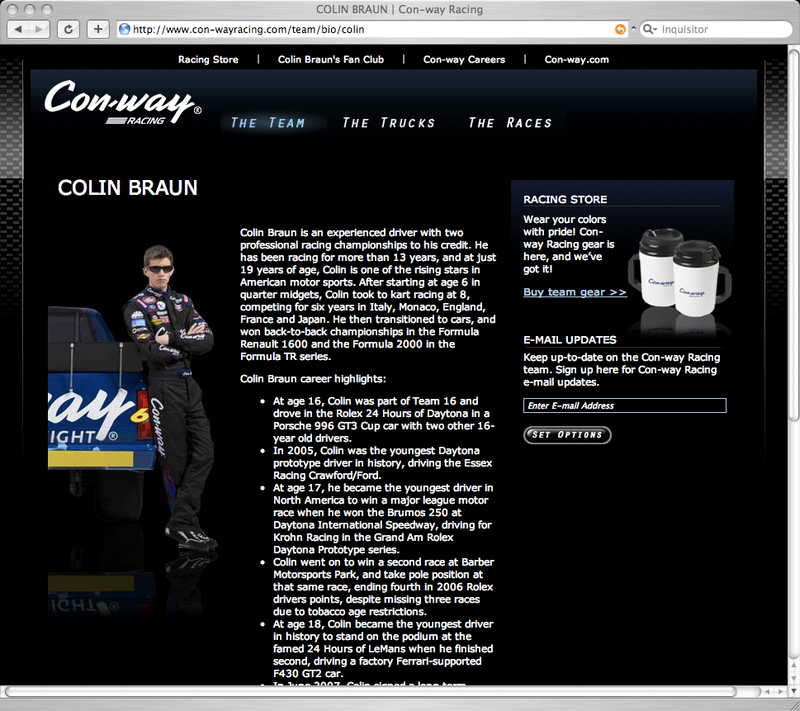 Con-way Freight was looking to relaunch thier NASCAR presence with a new driver and a new web presence that allowed for immediate updates and a more dynamic and aggressive look. 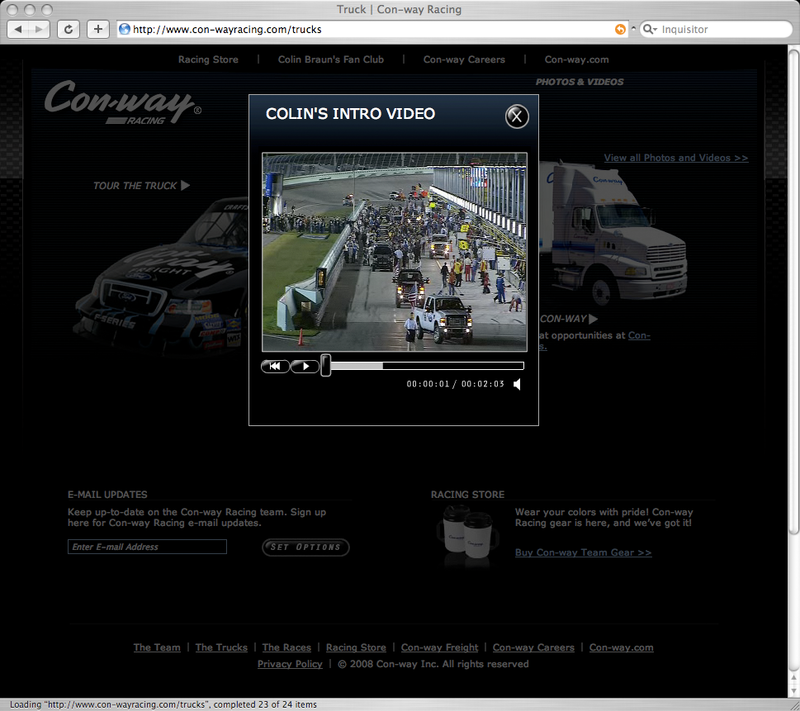 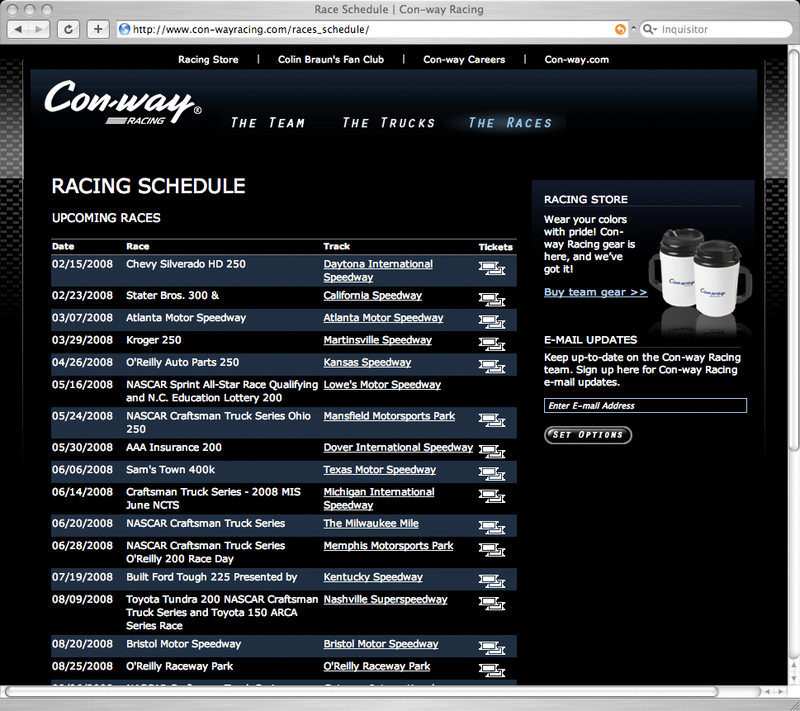 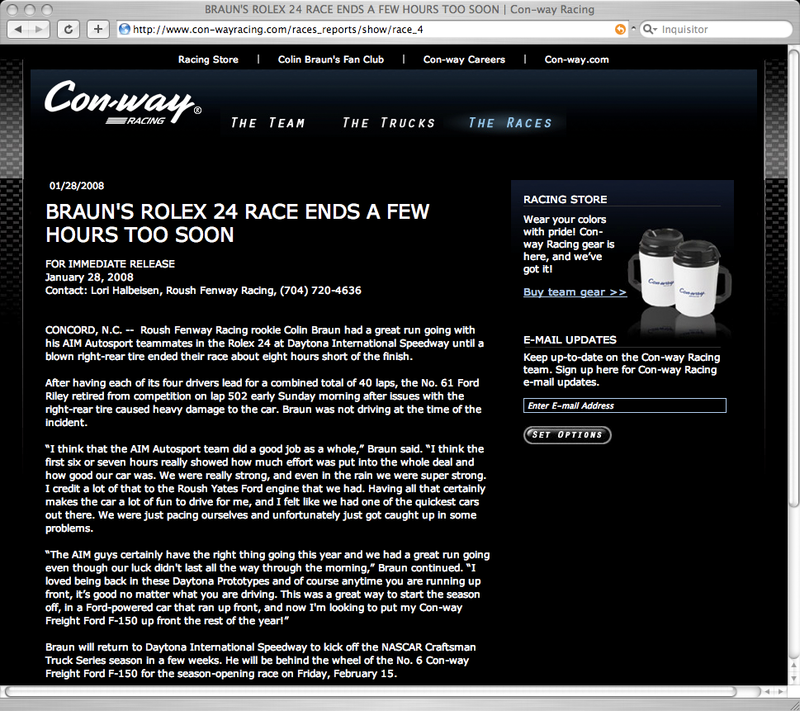 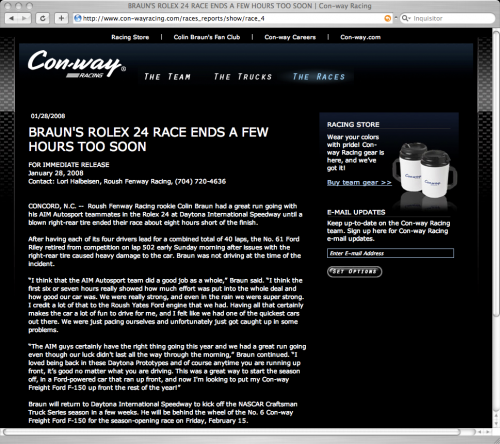 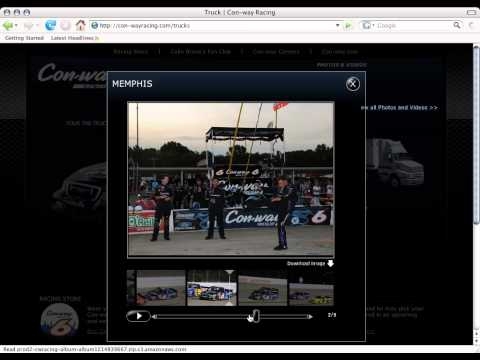 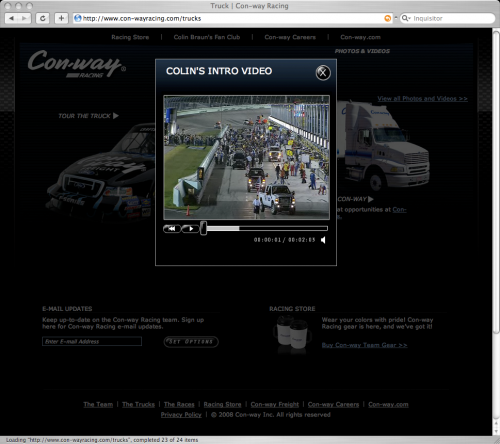 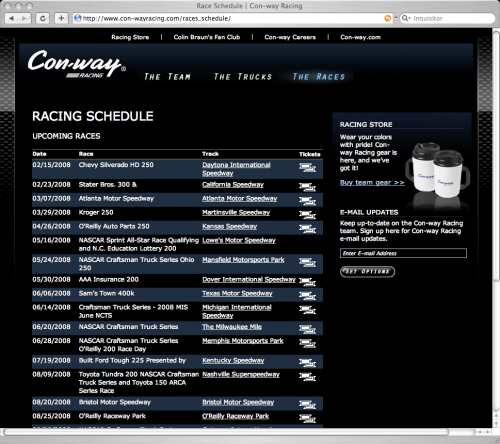 The new site offers up photos, videos, and podcasts for the visitors that are easily updated by the racing team through the custom CMS. 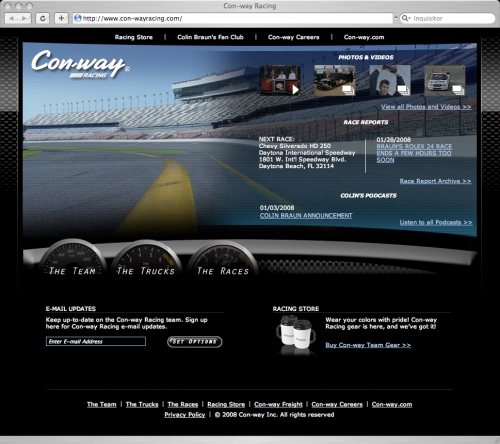 All brands and companies mentioned are owned by the respective trademark holders. Footer typeset in Arial the one true font of the web.